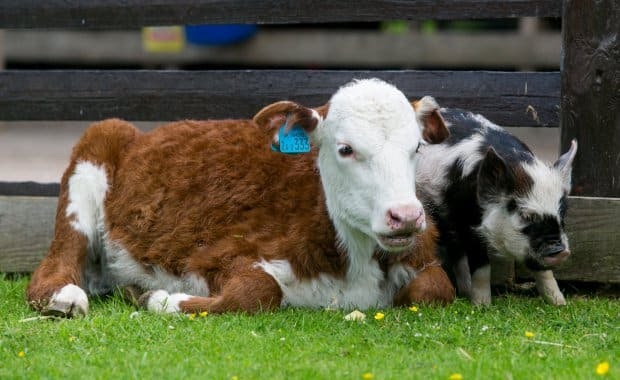 Mr Sparkles, a 14-week-old piglet, and Dainty, a 12-week-old baby cow, live together on Pennywell Farm in Devon, England. The pair have become the best of friends, so much so that staff have to keep an eye on Mr Sparkles, who is known to run off with Dainty at every opportunity. 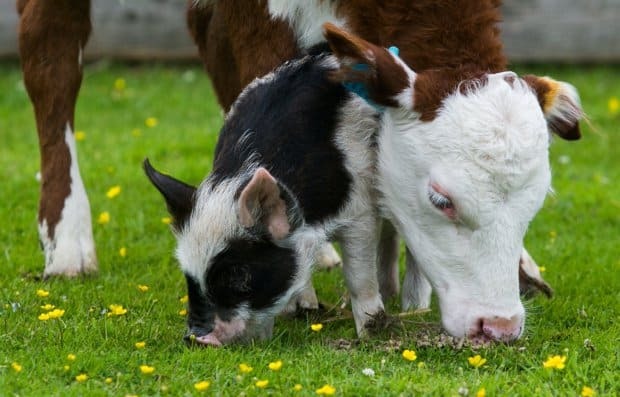 The pals were both born underweight, and bonded while in the pens next to each other. Chris Murray, who is co-owner of Pennywell Farm, said: “Dainty was small when she was born, she was tiny, that’s why she’s called Dainty. 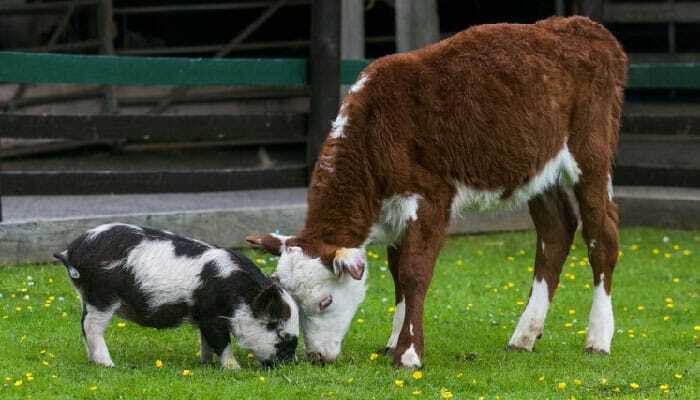 “Mr Sparkles was also very tiny when he was born and they were in a pen next to each other. “He used to squeeze under the bars of the gate and sleep with Dainty. He was the only one small enough to get through. 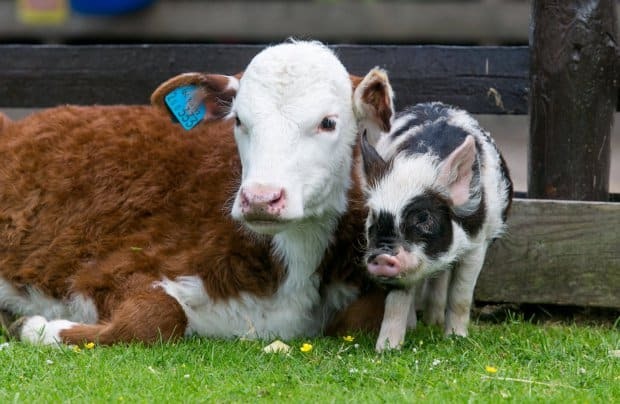 Murray says this is the first time one of his pigs has hung out with a cow, but he believes their unusual closeness is good for pair. He added: “Because pigs are very clean animals he doesn’t contaminate her pen and they are very happy together.